Almost everyone can look back at their time in school and have fond memories of extracurricular activities they were involved in. They enable students to meet new friends and grow as people but Greek life is currently under question to its benefits. The Greek life system is currently under fire for the large number of hazing incidents and deaths that have been seen across all branches in the past couple of years. By Thanksgiving of 2017, three students across the nation had died at parties or initiation events related to Greek life. This is something that needs to change and something new needs to be done about. I really think that Greek life is a very important part of colleges. The bonds that can be made in the fraternities and sororities can last a lifetime. For example, when I was younger my dad, a fraternity member when he was in university, often told me stories of how his days in the Greek life system changed him as a person or helped him meet some of his best friends or even my mom. The fact is that the Greek life was good for my family and my dad in particular. So when my dad hear stories like the Tim Piazza story or how the air at a fraternity was able to register positive for alcohol he is shocked and appalled, telling me it was never like this when he was in school. He is upset on what the system has become today and the fact that I look at Greek life today differently than he did when he was in school. 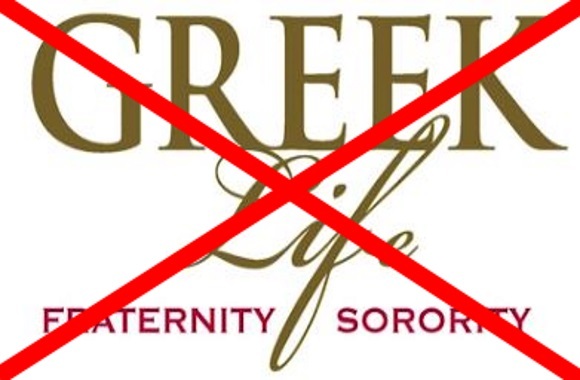 Today, Greek life has a problem that needs to be fixed. Things like hazing and drinking have grown to a point where it is dangerous and the country is taking notice but the issue is that nothing new is happening to solve the issue. It seems to be a repetitive pattern of some terrible event happening and breaking the national news, the administration at the school says that all Greek life events will be suspended and an investigation will ensue, a penalty will be given out to Greek life suspending them for some time, the suspension will end and Greek life will be closely watched for a short period of time, and eventually things will return to the way they were before. With this method, changes happen for a time but nothing happens long term. New policies need to be put in place and I don’t know what that exactly that is. One thing that I might think work is if the fraternity houses were on college campuses, this makes them much easier to monitor. This might be one way to fix it but something needs to change. Until new policies are put in place to help control this, the good in Greek life will keep being overshadowed by its bad image. Having your family’s experiences with frats is a really great perspective to add to this whole issue. I wondered for a while if all of the adults who had been members were just downplaying how bad things have gotten, or if they were genuinely ignorant because things actually were different back then. I hope we can figure out how to help things change for the better as soon as possible, as much as I’d rather not be in a sorority I can understand how that might be something that’s really important to another student and I’d hate to see that opportunity be lost.